When we work together we guide you from start to finish, through the magical phases of this memorable event. The resulting ring will remind you of this happy union for generations and we guarantee our work for just as long. We can use your stone or our stone whatever you desire to commemorate your marriage. We sit with you to bring an original design to life. We show you a render to be sure you can see what the end product will be , and we execute it with great skill for you right here in Santa Barbara. Take this unusual design. The setting for the center stone is not your traditional gallery but a pillow-like shape as if presenting to your beloved your commitment on a platinum cushion. There is great skill in setting the diamonds under the sapphire. A marriage is a unique and special life long relationship between two people who love one another and want to share the rest of the experiences that life has to offer, so why not choose to represent this very special event, not with an off the shelf engagement ring made who knows where, but with a custom design, made right here in Santa Barbara . Custom engagement rings and wedding rings are what we do best, from sitting with you and listening to all your hopes and dreams for the future together, to your life style choices that express who you are as individuals and as a tandem moving forward from here onward. The ring is a symbol of the relationship that will be with you for the rest of your life. We strive to get you exactly what you need and want, a design that does not come in a box already wrapped up on a shelf somewhere else. Give us a call. Consultations are always free and maybe you can have the engagement ring of your dreams. 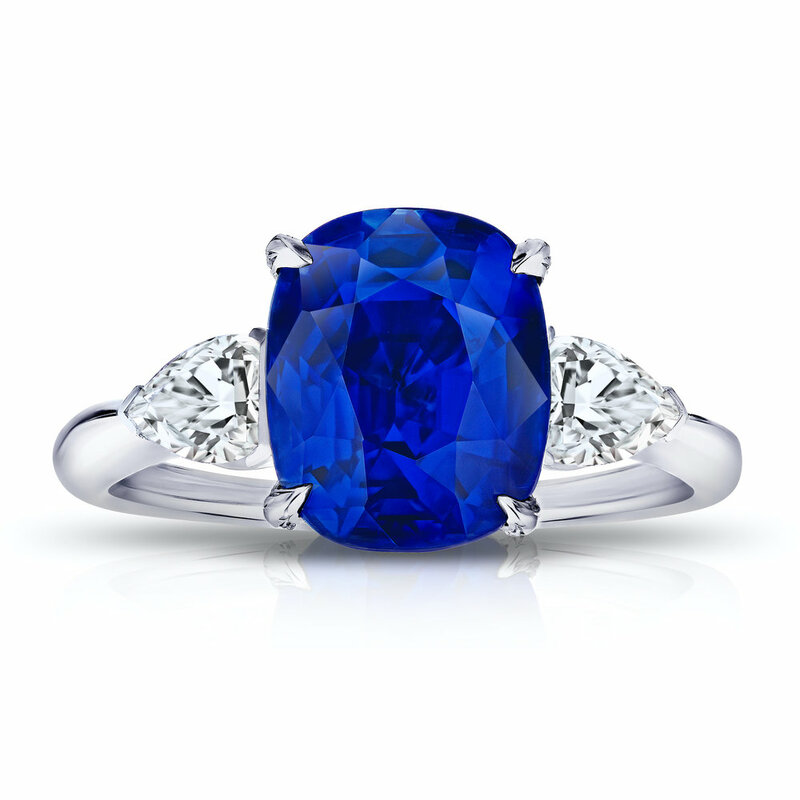 Exquisite blue sapphire and platinum ring with pear shaped diamonds on the shoulders. Take the classic halo diamond engagement ring and redesign it into a dazzling contemporary and original ring. A rare yellow diamond center stone is surrounded by white diamonds that cascade down between the 2 bands in a platinum shank and 18 karat red gold detail. We believe that this simple and sometimes not so simple circle of metal we call an engagement ring or wedding ring should be designed and made just for this occasion. An engagement ring that was inspired by the inflated figures created by the great Colombian artist Fernando Botero; everything in the ring design is rotundand yet completely graceful on the finger. This elegant design is available in platinum, white or yellow gold, with Diamonds or the colored stone of your dreams. A unique engagement ring design in 18 karat white gold or platinum for small or large center stones. A dramatic and original shank sweeps boldly up to your diamond, and an opposing arch reveals the beauty of its facets and colors. 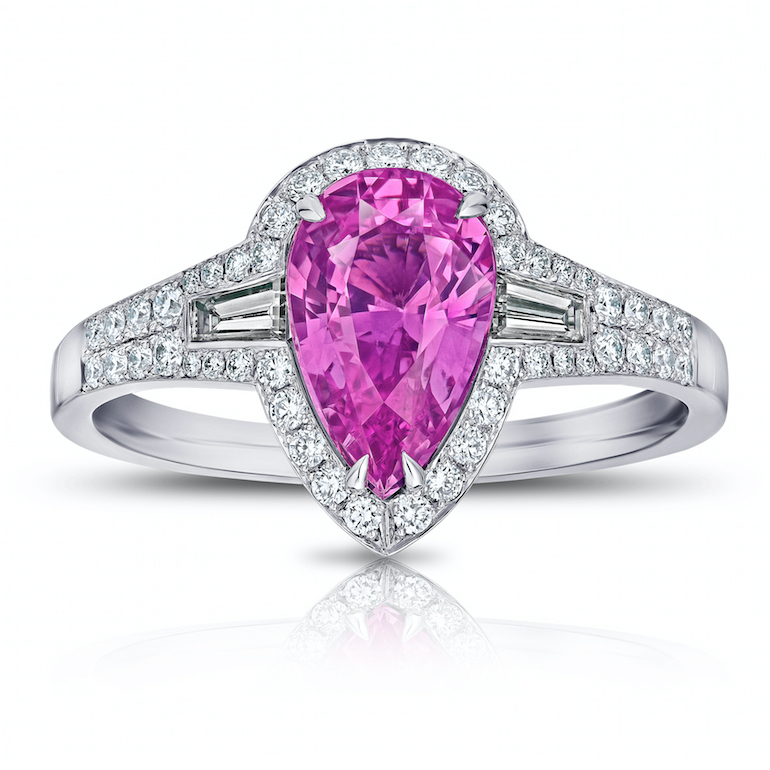 Smaller accent stones act as the prongs to hold the center stone securely in place. Six prong engagement ring two-tone design in 18 karat yellow gold and platinum. The center stone is the king of tourmalines the rare and wonderful Paraiba. Our signature style is to select the best from classical designs and to create a new and original design.